So far in 2009 around 450 students, 7 careers staff and 33 academic staff in 16 audiences have heard me speak on careers for mathematicians. My experience with staff is that they are very appreciative. Usually they either say “Thank you, that really reinforces everything we’ve been saying,” or “Wow, I’ve really learned a lot.” The former is very reassuring; good to know I am on the right track. The latter is extremely gratifying, particularly from careers staff. It pleases me to know I am doing my little part to improve the quality of careers advice given to mathematicians. I have had several requests to write up some of the resources used in my careers talk so here we go. I frequently meet students who think that their only options are teaching or accountancy. Some realise there is more than just accountancy and widen their options to other parts of finance. I have seen examples of careers advice given out which reinforces this message. There is a document “Options with mathematics”, published by Prospects.ac.uk , which is the default document handed out as careers advice for mathematicians in many of the universities I have visited. This lists as directly relevant to a mathematics degree only finance and teaching options1. This is very damaging as it reinforces this incorrect impression of mathematics prospects for both students and their careers staff in a widely distributed document. In my careers talk, I make the point loudly and clearly that there is nothing wrong with either finance or teaching as career options, in fact I say that the country needs excellent mathematics graduates to become maths teachers and inspire the next generation, but that these options are not for everyone. I meet students who say “I don’t want to go into finance or teaching but what can I do?” Some students I talk to seem to genuinely think they have made a huge error in taking a degree that limits their options so thoroughly. If it weren’t so tragic, it would be hilarious. I try to make the point in my talk that mathematics is a degree that doesn’t prepare you for a limited career path but in fact gives you skills that are so widely applicable they lead to a huge range of options. I try to stress the good news: according to the Maths Careers website, “Maths graduates earn more!” . This gives some figures for a higher level of graduate average earnings over non-graduates and of mathematicians over the graduate average. Of course, this figure does not really stand scrutiny given the wide range of job types mathematicians are engaged in but can be a nice headliner. I point out that employment for maths graduates is below the graduate average, according to the Prospects graduate destination data , which shows what graduates are doing six months following graduation. I use a quote from careers advisor Sue Briault  to tell students: careers advisors say “Maths undergraduates are frequently targeted by employers because they have the key skills sought by business.” I do question “frequently targeted,” saying I don’t recall being “frequently targeted” by employers during my time at university! But I point out that if you present yourself in the right way the advice is that employers will be attracted to you. Also on the subject of good graduate prospects, I point to an article which appeared in the Wall Street Journal in January 2009 . This article claims that mathematics leads to a career path that provides “a steady stream of lucrative, low-stress jobs”. This quote always raises a chuckle and I would be interested to know whether members feel their job fits the description! The article reports on a study which had ranked 200 jobs from “Best” to “Worst”. The top 3 are: Mathematician, Actuary and Statistician. There are, of course, a few caveats here: What exactly is a “Mathematician”? Well, I think they mean someone working in mathematical modelling from the context. Looking at the measures used, these jobs will fare well for not involving heavy lifting, dealing with dangerous chemicals, working outdoors, unsociable hours, etc. and this will inflate their ranking. But actually there are plenty of jobs that don’t involve these and yet the top three are Mathematician, Actuary and Statistician. A useful report that I draw on is the Class of ’99 report . This UK Government-commissioned study by Warwick University published in 2005 looks at early labour market experiences of graduates over a 4 year period and I draw three results from this for my talk. The study looked at whether graduates were in a job which required them to have a degree (a graduate job). Mathematics graduates (actually, “mathematics and computing” is the grouping used) were low for percentage in non-graduate jobs. In fact, over the four year period the only lines on the graph that are lower are education and medicine. Well, I tell students, if you’ve trained to be a teacher, doctor or nurse and you aren’t doing a graduate job then something has gone very wrong! I think this is an important message: many students in their second or final year will have genuinely made all the choices that limit their options on graduation already. In mathematics the field is wide open yet mathematics still fares very well for percentage in graduate jobs. The study found mathematicians were high for average gross earnings; top for women and second only to law for men. Finally, that the study reports a high probability of being in a “high quality” job. Participants were asked to self define whether they worked in a high quality job and a good proportion said they did. These two results are a little flimsy but hark back to the Wall Street Journal article; another little nod in the direction of mathematics leading to lucrative and enjoyable jobs. I am very aware of the lack of academic integrity of many of the sources used here. I am not a disinterested observer; the results and conclusions are drawn selectively to support an argument. Still, this is maths promotion, not academic study. I am in the business of trying to get soon-to-be graduates excited about taking their maths further in life and not simply giving up because of the perceived lack of options. I think there is truth in what I tell students and I think that the message presented can be used to encourage students to explore their options more thoroughly. I encourage others to use the resources listed in the References in their own maths promotion. Following this, I show students a list of sources for careers profiles. One of the barriers to careers advice for mathematics students is the wide range of options available. The mathematics student could very well be presented with half of the contents of the careers library to consider. This is good news but impractical and, I think, a real problem for careers advisers. It’s all very well saying students are presented with a limited range of options but when the potential range is so huge students will be scared away by the quantity of material potentially open to them. I recommend students visit the Maths Careers website  with its full and every increasing list of careers profiles (contributions welcome: peter.rowlett@ima.org.uk). I am very pleased with the IMA’s new careers advice leaflet by Vanessa Thorogood, the content of which is excellent . I hand out copies of this whenever I get the chance; I have probably given out near to a thousand since it was released earlier this year. Students who attend my careers talks or careers stalls often take extra copies for their friends. I also encourage reading of Careers for Mathematicians by Sue Briault . I recommend the Plus careers library , which contains a good number (and growing) of careers interviews, some with audio. I also take the opportunity to push my Travels in a Mathematical World podcast . This has interesting mathematicians talking about their work in some diverse applications of mathematics and I think it is a good resource for students wanting to explore their options. I tell students to read or listen to a selection of these and once they have a clearer idea of areas they are interested in they can go to the careers library and be in greater control of the range of options available to them. In contrast to February, March and April were months in which many students had coursework deadlines, vacation or exam revision so the opportunities to give talks were limited. I gave my careers talk at London Met and my talk on spin in ball games followed by the chance to play pool and tennis on a Nintendo Wii (welcome relief from revision) at the Universities of Leicester, Newcastle and Sheffield. The Easter holiday brought conference season. I was involved with the British Applied Mathematics Colloquium 2009 and associated Meet the Mathematicians outreach day from the confusing position of both an IMA and a University of Nottingham employee. I don’t mind having two separate employers; when one moves in with the other it gets a little confusing! Meet the Mathematicians was a good day of interesting talks which will appear in time on www.meetmaths.org.uk. The BAMC was, as last year, an excellent opportunity to talk to a large number of applied mathematics postgraduate students, IMA members and lecturers who might invite me to talk with their students. We even gave away a few membership application forms. I recorded a retrospective on the conference immediately following it with Professor Oliver Jensen and this can be heard as episode 27 of the Travels in a Mathematical World podcast (www.travelsinamathematicalworld.co.uk). Also in conference season, I attended the Young Researchers in Mathematics conference at Cambridge. This is the product of an exciting new initiative to bring together young mathematics researchers and was a vibrant inaugural conference. The organisers are to be congratulated. 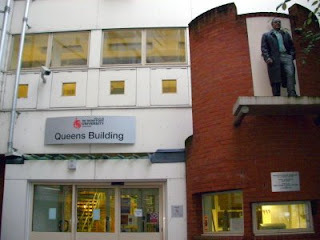 I rounded off the conference season with a trip to London for Mathematics 2009, which I would recommend to anyone as the IMA’s premier general interest conference, and the Women in Mathematics Day, where I felt conspicuous but was welcomed nonetheless. You can find out more about my work on the University Liaison initiative by visiting the IMA Student page or reading my blog, both via: www.ima.org.uk/student. You can also now follow me on Twitter through twitter.com/peterrowlett. PROSPECTS, 2008. Options with mathematics Via: http://www.prospects.ac.uk/cms/documents/Options_with_your_subject/Your_degree_in_mathematics.pdf?id=13969 [Accessed: 28/04/09]. COUNCIL FOR THE MATHEMATICAL SCIENCES, 2006. Maths graduates earn more! [online]. Via: http://www.mathscareers.org.uk/post_16.cfm [Accessed: 08/10/08]. GRADUATE PROSPECTS, 2008. What do graduates do? 2008 [online]. Via: http://www.prospects.ac.uk/cms/ShowPage/Home_page/What_do_graduates_do__2008/p!eLaFFee [Accessed: 08/10/08]. PURCELL, et al, 2005. The Class of ’99: A study of the early labour market experiences of recent graduates [online]. Via: http://www2.warwick.ac.uk/fac/soc/ier/research/class99/ [Accessed: 08/10/08]. LEWIS, C., 2008. Take Five. The Times, 10 Dec. Available at: http://business.timesonline.co.uk/tol/business/career_and_jobs/article5315105.ece [Accessed: 23/01/09]. 1. We are talking to the authors of this document through the IMA liaison with AGCAS, Julie Hepburn, about updating this document to be a little more realistic. 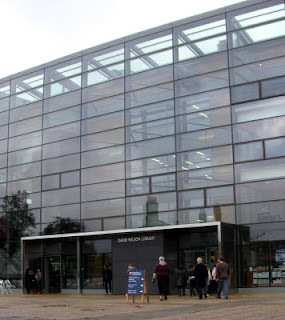 Last week I visited the University of Leicester at the invitation of the Student Union Maths Society (SUMS) to give my talks on careers and on spin in ball games, following by playing Tennis on the IMA Wii. There are some pictures below. In a busy week, this was a fun evening with a nice bunch of students. They seemed to receive the talks well. The new academic year has brought a mass of activity and potential opportunities. I am keen to spread the IMA message as widely as possible so thoughts turn to how my activities can be distributed to as many students as possible. So it is that I have begun several new initiatives. Starting with the October issue, selected articles from Mathematics Today are distributed electronically to student groups with whom I have a contact or other student reps where no such group exists. These contacts will then redistribute the electronic Mathematics Today to students within their universities. This means that, perhaps as you read this, I will be reading through and picking a selection of articles from this copy of Mathematics Today that I think are of interest to students. Students will receive links to PDFs that are active for a limited period. I am also sending each student group a print copy of Mathematics Today for them to display at their events. The intention is that by receiving some of the content from Mathematics Today, students might begin to gain awareness of the IMA and the role it can play in their lives post-graduation. Certainly, we can hope that more students will be exposed to the IMA through this method than could be by my actions in person. And with the quality content in Mathematics Today we can be assured that the exposure will be meaningful as well as wide-reaching. If you would like students at your university to receive Mathematics Today please contact me at peter.rowlett@ima.org.uk. A second activity I have begun is a podcast, Travels in a Mathematical World, which features mathematicians talking about their work and careers, as well as Maths History features from Noel-Ann Bradshaw of the University of Greenwich and Maths News roundups with Sarah Shepherd of iSquared Magazine. This has been running for a few weeks now and the response I have had so far has been positive with students I have spoken to keen to hear from ‘real life mathematicians’. At a Mathsoc event at the University of Greenwich I was approached by a student who said “I was listening to you this morning.” It took me a moment to realise what she meant! You can listen to episodes and download the podcast at http://www.travelsinamathematicalworld.co.uk/. Any promotion you can provide for this is most welcome. Thirdly (and I won’t say “finally”! ), my relationships with university mathematical societies continue to increase in number. Through a group I am calling Representatives of University Mathematical Societies (RUMS), I am able to keep in touch with students at a wide range of universities through a single contact at each. Universities that do not have such student groups often have a student representative on some staff-student liaison group and sometimes it is possible for this student to act as my point of contact, or simply another keen student. So RUMS membership now includes students from universities without mathematical societies. This group is a huge advantage to my interactions as the task of maintaining a current list of students would be impractical. And there is, I think, a clear advantage to the students themselves in already participating in the mathematical community. If you are in touch with a student group, or know your university doesn’t have one but can think of another student who may be able to help, please get in touch via peter.rowlett@ima.org.uk. I have set up a new blog for the members of the RUMS group to post news from their activities and share ideas. As I travel I am made aware of the different groups who all have similar goals and are all running into the same issues and this blog is designed for groups to share this experience. Particularly, I meet new student groups and it is good to be able to point them to the blog for inspiration. In the Student Section this time I have collected a few snippets of news from the blog. The blog is available at imarums.blogspot.com. Last time I mentioned a questionnaire that I have distributed to universities through our network of IMA University Representatives and I am glad to say that responses have been coming in through this period. I have a 37% response rate with questionnaires returned from 27 universities. During September I made several trips to Birmingham. First, I met with the IMA’s new liaison with the Association of Graduate Careers Advisory Services (AGCAS), Julie Hepburn from the Cardiff University Careers Service. We had a chat about what AGCAS and the IMA can do together. I’ve also visited the more maths grads project, who do some great work in mathematics enrichment at school level. We are exploring ways we can work together in areas we overlap, particularly on careers advice. Lastly, I attended the LMS Popular Lectures 2008 and grabbed 5 minutes with the Co-Chair of the Mathsoc at Birmingham and I am happy to report they are now successful University Liaison Grant applicants. In October, I visited the University of Leicester and met with the enthusiastic bunch who are the committee for the student group there. Those who enjoy a bit of wordplay will enjoy the name: Student Union Maths Society (SUMS). Next came my small part in following the New Unified Mathematics Society tour. I visited Newcastle, York, Leeds, Warwick and my home city of Nottingham with the Presidents of the IMA and LMS, David Abrahams and Brian Davies, respectively. It was really useful to go to universities I have not yet had the chance to visit and I have made some useful contacts there. I took the opportunity to catch up with the Mathsoc at Newcastle, who have recently made their second successful University Liaison Grant application and the more maths grads regional base in Leeds. I visited the University of Greenwich for a talk organised by the MathSoc there on “Thinking Mathematically” by John Mason. Noel-Ann Bradshaw of the University of Greenwich is looking to organise a grouping of London Universities who can look to cross-promote events and I stopped on my way across London to meet the President of the Maths Society at Imperial College. Finally I rounded off the month in Manchester, where I attended a mathematics specific careers event, “Calculating Careers”. I operated a stall at this with a mixture of careers advice, IMA materials and last but certainly not least a set of puzzles. This did lead to an afternoon of me calling out to passing students:”Fancy playing a game?” but it also led to all those students going home with a “Maths Matters” postcard from the Maths Careers website (http://www.mathscareers.org.uk/) and a copy of the Mathematics Today article Careers for Mathematicians1 under their arms, and hopefully some raised awareness of the IMA. I was told afterwards that my stall had seen the most activity at the fair so there is something to be said for baiting mathematicians with intellectual curiosities! You can find out more about the University Liaison initiative by visiting the IMA Student page or reading my blog, both via: www.ima.org.uk/student. 1. BRIAULT, S., 2008. Careers for Mathematicians. Mathematics Today, 44(3), pp. 117-118. Yesterday I spent an afternoon in Leicester. I visited the University of Leicester and met with the Student Union Maths Society (SUMS) group in the new David Wilson Library. They are an enthusiastic bunch and we had a good meeting discussing their plans for the group and how the IMA can help. 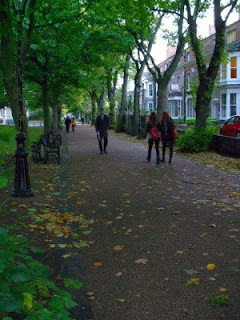 I then walked a pleasant walk along New Walk between the University of Leicester and De Montfort University. It was a very wet day but there were plenty of people out and walking; the whole walk had a really nice atmosphere. At De Montfort, I attended the IMA East Midlands Branch talk on “Enigma, Bletchley Park & The Battle of the Atlantic” by Dr Mark Baldwin. This was apparently the 251st time Dr Baldwin had given this talk but he was enthusiastic and entertaining nonetheless. I was hoping to share a picture of his Enigma machine, but the crowd having a go with it was too deep! You can find out more about Enigma and see pictures at Wikipedia, and worth a visit is Bletchley Park.